Many people became convinced that data releases earlier this year indicated that "recovery" in the U.S. was imminent. But as I have been saying for months, this evidence would ultimately be shown to be as reliable as sightings of Bigfoot. Lots of people claim to say they have seen it, some even produce plaster footprints, but in the end all we have is a guy in an ape suit. The economic recovery, that has been discussed so loudly and often in recent months, will be shown to be similarly mythical. A torrent of recent economic data now reveals weakness, and investors are beginning to take notice. Today's release of the May jobs report showed a paltry 69,000 jobs created during the month, far below consensus estimates. Not only did the current month disappoint, but the June numbers were also revised down by 49,000. This release follows yesterday's downward revisions of first quarter GDP growth from 2.2% to 1.9%. Also lost in the headlines was that the savings rate dropped to 3.4% in April, the lowest rate since December 2007. This shows that Americans may need to deplete their already meager savings just to keep their heads above water as the U.S. economy sinks back into recession. The bad news sent stocks swooning. The latest sell off brings the S&P 500 down close to 10% from its levels in early April. On the other hand, bonds have reached record highs as investors seek safety in treasuries. However, I believe that treasuries will turn out to be the Facebook of safe havens. Before Facebook went public everyone wanted a piece of the action. But once the allure wore off, and people realized they owned shares of an overhyped company with unreliable earnings and a sky high valuation, the shares quickly lost a good deal of their appeal. 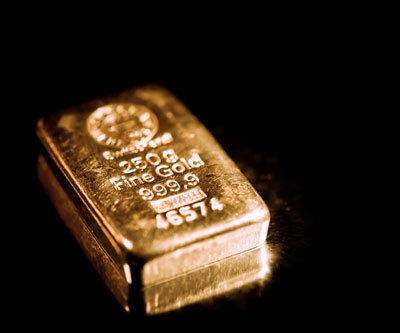 Despite the best efforts of the media to declare the end of gold's appeal, the metal continues to shine. Today's reportalso sent gold up nearly 4 per cent. Gold is now down just 3 per cent from May 1, a period that has been horrific for other asset classes. Oil prices continue to slide as traders brace for a fall-off in global demand that will come from the return of a global recession. What these traders fail to understand is that the recession will likely be resisted by central banks around the world with massive money printing. Such action will be much more likely to push oil prices back up to levels higher than those seen before the recent downturn. Yes recession means consumers will use a lot less oil, but inflation created by the central banks means that they will likely pay a lot more to purchase it. In recent months as turmoil bubbled across the debt markets of Europe, the United States had beckoned as a safe haven. But in truth, the problems are as bad, if not worse, on this side of the Atlantic. Ironically, America has not had to deal with its day of reckoning because lesser problems surfaced first in Europe. But when Europe comes to some modest resolution of its problems, or when bond investors realize they have jumped from the frying pan into the fire, there will be no hiding from the unresolved problems here. As the intoxicating effects of Fed stimulus wear off, the hangover is setting in. To delay the pain, I believe that there can be little doubt that the Fed will unleash its next round of stimulus, in the form of QE3. My guess is the Fed has always known more QE was needed but it has been waiting for the most politically palatable time to announce it. That "stunner" can't be far off with the data so bad and the elections so near. Eventually more people will figure out just how precarious America's fiscal position truly remains. That's when interest rates will finally rise in the U.S. There is no way to justify record low interest rates in this country given our atrocious fiscal position. I believe interest rates here should approach levels comparable to the more indebted European countries. Once it becomes obvious just how many dollars the Fed is prepared to print to stave off recession, people running into treasuries today will likely suffer buyer's remorse. When they rethink their assumptions, as buyers of the Facebook IPO clearly have, the Fed will then become not just the buyer of last resort, but the buyer of only resort. Then the Real Crash may finally be upon us.